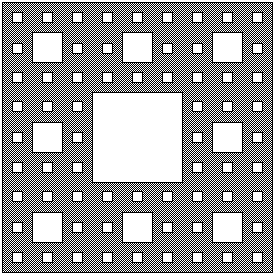 The Sierpinsky Carpet of order 5 (below) has been constructed entirely from HTML tables. Lesser browsers may crash. Harold Brochmann has a wonderful explanation of the construction of a fractal surface.